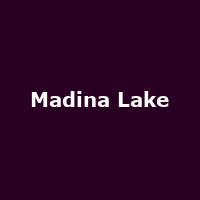 Before the release of their 2007 debut album From Them, Through Us, to You, Madina Lake had already set off on a journey. Three albums and seven years along, the three-piece from Chicago can be found in reflective mood. Madina Lake have announced that they will tour the UK in November, performing that debut record in its entirety. The band told their official website they still have fond memories of getting together: "That night we agreed to embark on a journey of realising an idea that would materialise over three records before we revealed the statement behind it." Ah, the world loves a bromance and, far from the proverbial 'itch', Madina Lake are entering their eighth year as much in love as that first night. "This tour is the culmination of a seven-year endeavour to get here," they said, adding that the recently departed guitarist Mateo Camargo will rejoin the band for the dates as they hammer through some fan favourites and, no doubt, get a little misty eyed in the process. The tour kicks off at Sub89 in Reading on 26th November, followed by gigs in Manchester, Sheffield, Glasgow, Birmingham and Cardiff, before the final date at the Garage in north London on Sunday 2nd December. We will have tickets available from 9am on Monday 30th July, priced from around £12, except for Reading, which is available now (£12).